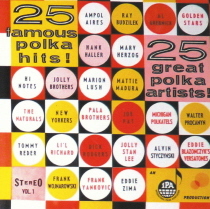 Back in the 1970’s, the International Polka Association® released a CD of “25 Great Polka Artists!” playing “25 Famous Polka Hits!” This album is now on CD. Don’t pass this classic CD today! The proceeds from the sale of this CD go to the International Polka Association®.